General de Galerías Comerciales created the Centro Comercial Mediterráneo, conceived with the most advanced technology in its design. 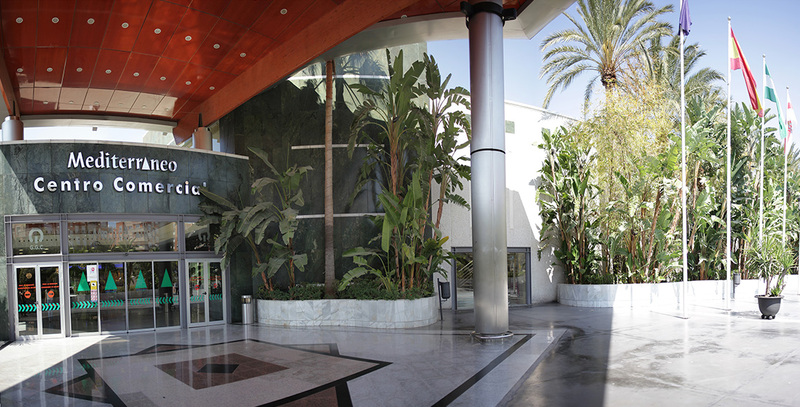 The Centro Comercial Mediterráneo remains a bet for the future, as well as a consolidated present. With a revolutionary architectural design and technology, located in the major axis of the city, the Mediterranean Mall, has incorporated into its merchandising the best national and international brands in all sectors. The Centro Comercial Mediterráneo is still a project of future, while currently consolidated as a model in the new generation of shopping centers and malls with a built surface of 140,000 m2 and 70,000 m2 of GLA, including entertainment, restaurants and cinemas. Within those 70,000 m2, 18,000 m2 are destined for the large area Alcampo and the rest, 52,000 m2, for fashion, accessories, home decor, sports, computers, appliances and electronics, specialty shops, national and international brands, leisure, restaurants and a cinema managed by Cines Monumental. All supported with parking space, access by foot and public transport to the mall.